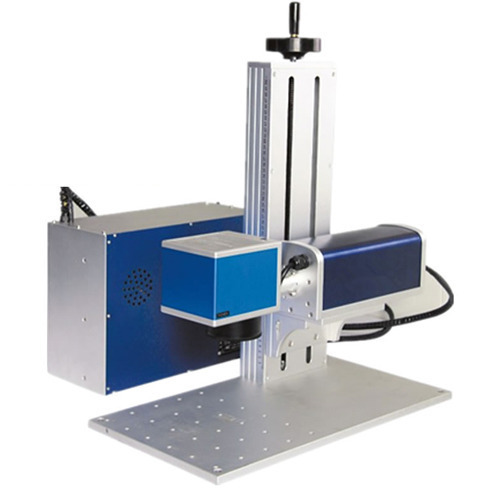 We are the leading stockist of Mini Laser Metal Marking Machine. Clients can avail it at best market prices. Atcore Tech Solutions was incorporated in the year 2011 as a reliable Manufacturer, Exporter, Importer and Trader of Laser Engraving Machine & Cutting Plotter. Our entire range of products includes Laser Cutting Machine, Laser Engraving Machine and Laser Metal Sheet Cutting Machines. We are also offering an excellent quality of service such as Laser Meat Cutting Job Work. It is appreciated among customers due to its easy assembly, fire retardant, heat resistance, power efficiency and superior conductivity features. These products are the mark of quality and trendiness. With our unique business policies, dedicated work policies, the culture of maintaining quality & excellence in everything, we have established healthy work relationship with various prestigious business associates which has lead us to new heights and vast client base. Our state-of-the-art infrastructure forms the backbone of the organization. With the advent of technologies, we have upgraded our infrastructural facility to keep a pace with the ongoing market developments. Thus, with the assistance of our efficient workforce and advanced infrastructure, our company has earned remarkable accolades in this domain. Owing to the priority and concerns to serve quality products, we have established an effective system under the supervision of vigil quality professionals to keep a check on the entire production process. In addition to this, we have a spacious and large warehousing unit that helps us to keep our offered range under the safe and secure environment.